Here you find material that you can publish on your web page or magazines. 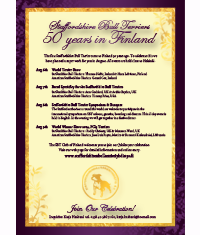 Let´s spread the word and make this a big SBT event! 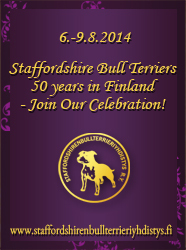 Please contact our secretary (sihteeri@staffordshirenbullterrieriyhdistys.fi) if you need material in other formats. 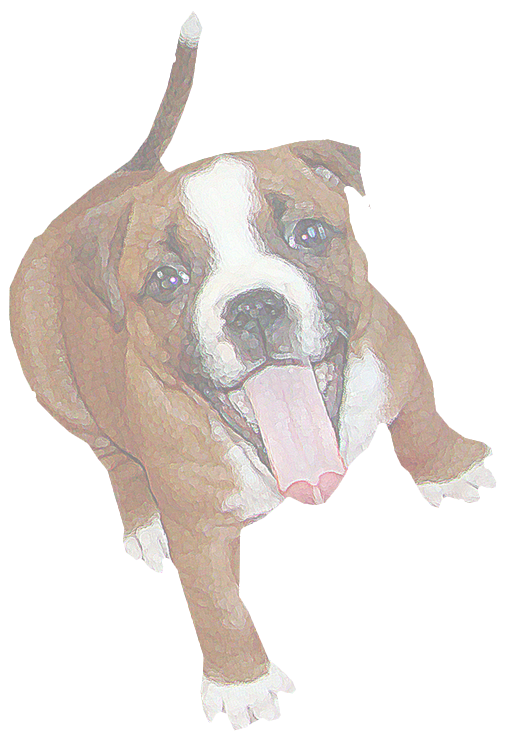 There are two versions of the flyer: with both Staffordshire Bull Terriers and American Staffordshire Terriers or with only Staffordshire Bull Terriers.